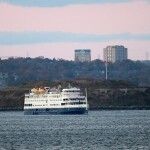 Haimark Line’s new luxury cruise ship MS Saint Laurent visited Halifax twice during the 2015 season. This is footage of Saint Laurent‘s arrival and departure in late October. 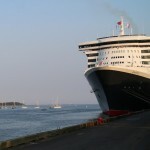 On July 10, 2015, Cunard Line’s Queen Mary 2 called at Halifax on the occasion of the 175th anniversary of the first scheduled transatlantic crossing by steamship. The founder of the Cunard Line, Samuel Cunard, was born and raised in Halifax. 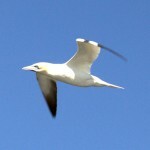 Tourists flock to Bonaventure Island in the summertime to view the largest gannet colony in North America. I was one of the lucky ones in June 2015. 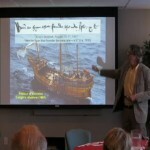 Since 2011 I’ve been giving talks to Road Scholar programs in Nova Scotia. In this group of about 25, nearly everyone was a first-time visitor. 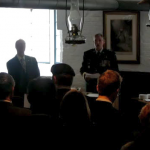 Remarks by Brigadier-General Thurrott, Commander Land Force Atlantic Area, and William H. Syll, Acting Principal Officer at the U.S. Consulate in Halifax, on the occasion of the War of 1812 exhibit opening at the Halifax Citadel Army Museum, 8 June 2012. The first Sunday in May is Battle of the Atlantic Sunday in Canada. 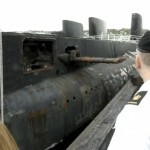 Every year, HMCS Sackville leaves her berth in Halifax harbour for a committal service. 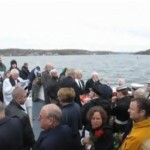 The ashes of naval veterans are “committed to the deep” in a moving ceremony attended by family members.